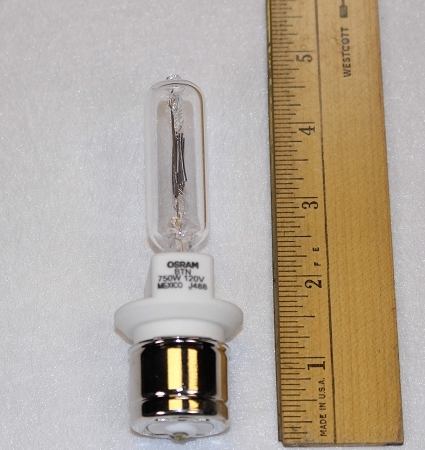 750 Watt, 120V lamp (500 hours, 3,050K) for use in fixtures utilizing a medium-prefocus (bayonet base) source. For use in Altman 65Q and other 6" fresnel fixtures among others. Please note lamps provided may not be the same manufacturer as shown in photographs.